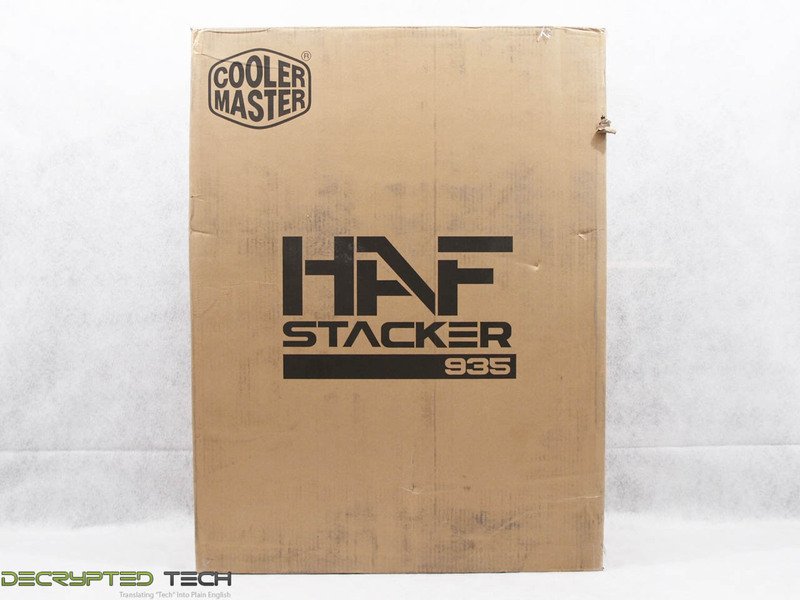 The packaging of the HAF is about a plain as it can be, simple brown cardboard with only the Cooler Master name and the model on it repeated on all four sides. There are no colors, pictures or information on the case at all. Bear in mind, that this is a pre-release review sample. I’d be very surprised to see this case on a shelf somewhere in this box. One thing that did really stand out about this box is its size. It is easily the largest box I have ever seen that contained computer hardware. I’ve reviewed a lot of full-tower cases, but it was obvious just from the box that this was something different. The inside of the box is also a little different. 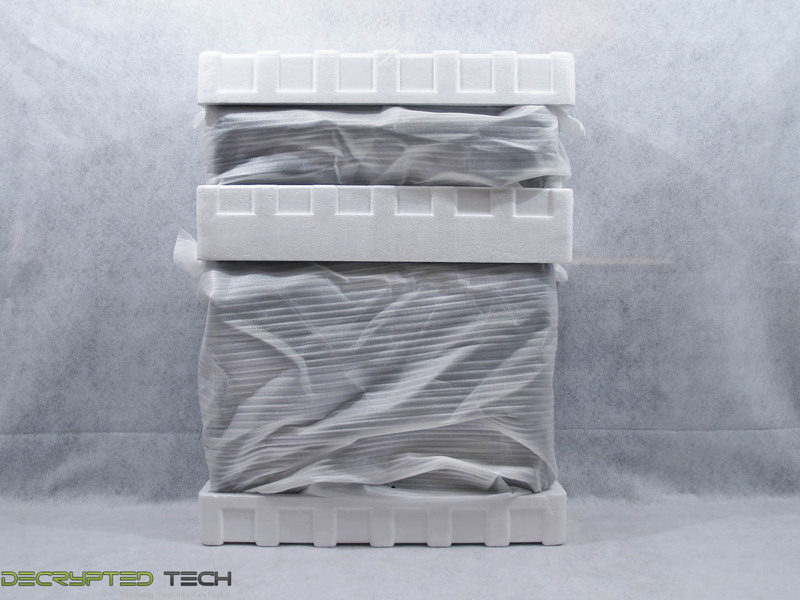 Since the HAF Stacker 935 comes as two separate units, there are three pieces of protective formed Styrofoam: top and bottom as expected, plus a third between the two units. Each is also wrapped in a thin foam bag for additional protection.